Here's a wonderful two-in-one Forever Friends gift. The reusable box comes with a cute 4.5 Inch Forever Friends bear. 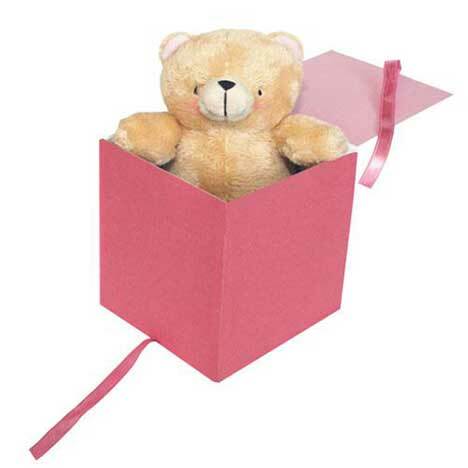 There's enough room to add a few small items to the ready to give bear in a box. The box measures 4.75" W x 5.25" H.